We want you to be able to utilize the maximum potential of the tools we make available to you. That requires the best training possible. No system is complete if you don’t know how to utilize its full potential. We will take the time to make sure you understand the features of your systems and how to use them effectively for your individual situation. We can also provide “how to” training to help your operators do their job better. Let us put our experience to work for you. 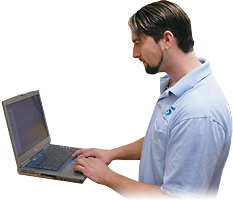 Whenever we install a system, besides the thorough initial training provided at install, we do follow up training to make sure that all your needs are met. Any additional training you request will be done at no charge. We offer multiple service options. Take a look at what best fits your needs. Service calls – Having a problem and can’t figure out why? Contact STC to schedule a service visit to get things back to normal. We will diagnose the problem, find the root cause, and explain the options for correcting the issue. Maintenance Agreements – For those who prefer a predictable cost of maintaining their telecommunications equipment without any unexpected expenses.